In light of the fight for women equality in the workplace, Hugo Cuevas-Mohr wrote a blog on March 18, 2018 about the Women in the Money Transfer, Remittances & Cross-Border Payments Industry with stats on women’s participation in financial services and highlighting the women he believed were beacons of leadership and change. 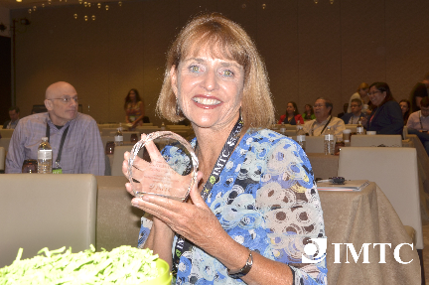 This was followed by a yearlong social media campaign to highlight these women and ask the industry to submit more names and nominate more women for a vote to be taken at IMTC WORLD 2018 in Miami Beach, November 13-16, 2018. Download a pdf with more information on the Awards. 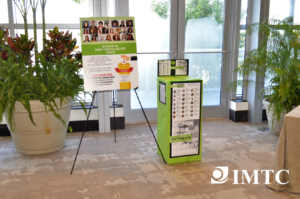 Each participant at IMTC WORLD 2018 was given a ballot and the IMTC Team made an effort to get everyone to vote. We knew that the popularity and the presence of certain nominees at the event were going to be determining factors in the results. Participants marked their choices in the ballot, deposited it in the Ballot Box and in the morning of the awards, the votes were tallied and the four top scores were announced in the closing session of the event. Since the event was in Florida, we had a manual recount of the votes; we sure did! 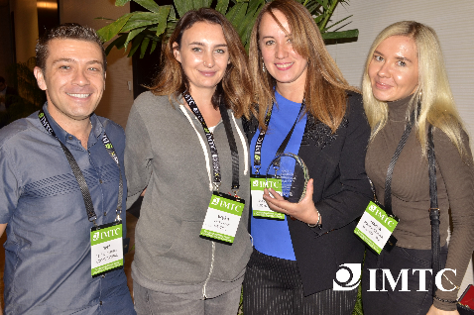 Chosen to present the four awards at IMTC WORLD 2018 was Nina Hülsken, the newest member of the IMTC Advisory Board and the Founder and Managing Director of Cosmo Element, a payments consultancy firm in Europe. Ms. Hülsken has over 13 years of experience working in management roles for various leading firms in the payments industry and has been a key advisor for several Payment Institutions and E-money Institutions to become EU regulated and to be able to offer their services via passporting throughout Europe. Congratulations to the four women with the top votes! 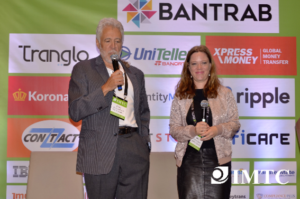 Marcela Gonzalez, Managing Director of RIA Financial Services UK & Ireland and one of the leading figures in the unparalleled growth of RIA Money Transfer’s in Europe. 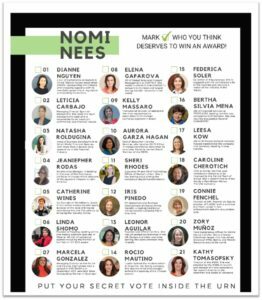 Ms. Gonzalez has received many awards in her career, including U’K CEO’s Monthly Most Outstanding Women in Business in 2017 and was featured in the Sept 2017 issue of the CEO magazine. 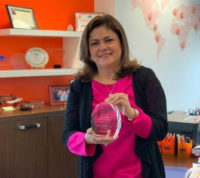 As Ms. Gonzalez was not present to receive the award, it was delivered to her and this picture was taken at her London office. 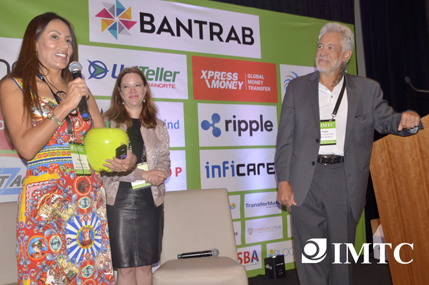 Rocio Mautino, is the founder and CEO of Argenper SPA founded in 1999 and the Chilean arm of a family money transfer & remittance company, ARGENPER, started in Perú in 1990. The family company has several affiliated companies in South America and the USA. Zory Muñoz is an expert on Compliance Enhance Due Diligence “EDD” and Correspondent Compliance Examinations. She began her career in the remittance industry in 2003 with GroupEx, a California based license money transmitter and later on as a Compliance Manager for Coinstar. She was also a Consultant for Earthport in London and Scotiabank in El Salvador. Since 2012 she has worked as the head of the Global Field Compliance Team for Xoom, an online & mobile money transfer company acquired by PayPal in 2015. Connie Fenchel is president of AML Experts, an independent consulting firm specializing in AML & BSA and her expertise includes independent reviews and investigations, threat/risk assessments, training, expert testimony and AML program development for MSBs, Banks and other financial services companies. She developed IMTC’s Money Transfer Compliance Certification Course – MTCC, training industry professionals since 2011. She has over 30 years of government and private sector experience. Women’s Share of Employment in Financial and Insurance Activities was 59% in countries like Finland and 41% in Switzerland with UK seating close to the bottom at 43%. 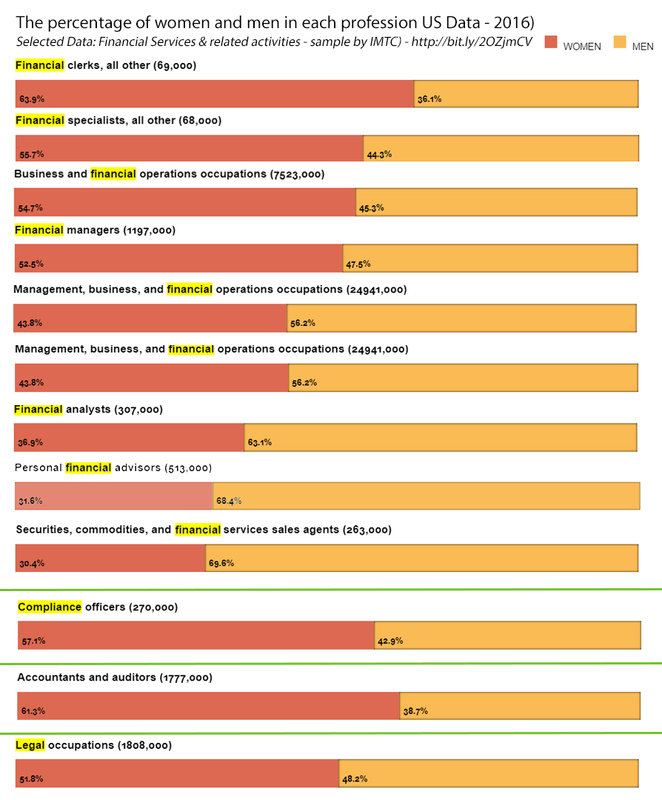 The women in the US Financial Services Industry seems very close to the number in the middle of this table with Accountants and Auditors at 61.3%, Financial Managers at 52.5% and Financial Analysts at 36.9%. But like in the rest of the world, US women’s representation in financial services senior leadership roles remains very low. 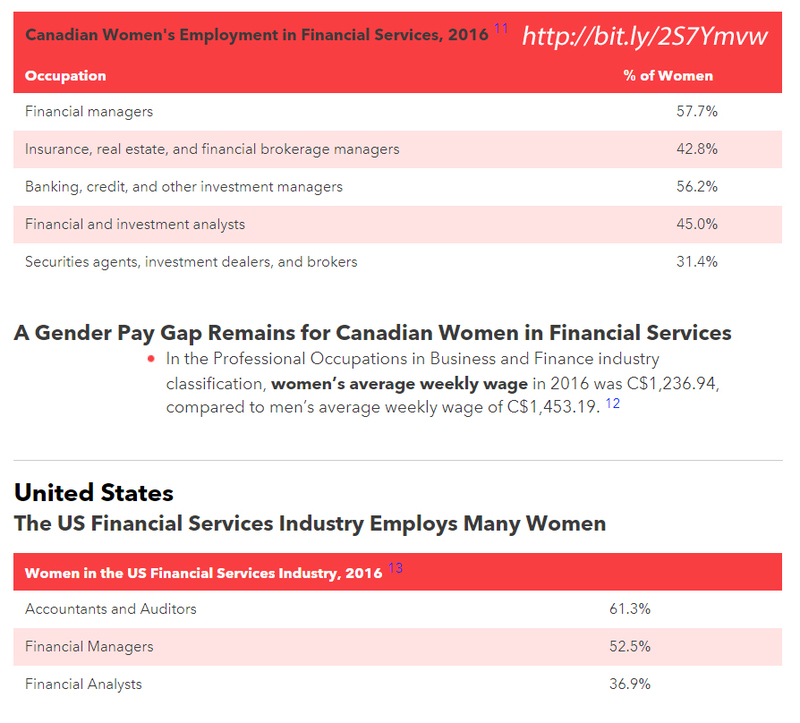 In Canada, women held 20.8% of board seats in 2014 with women holding only 25% of senior management roles in the global financial services industry. 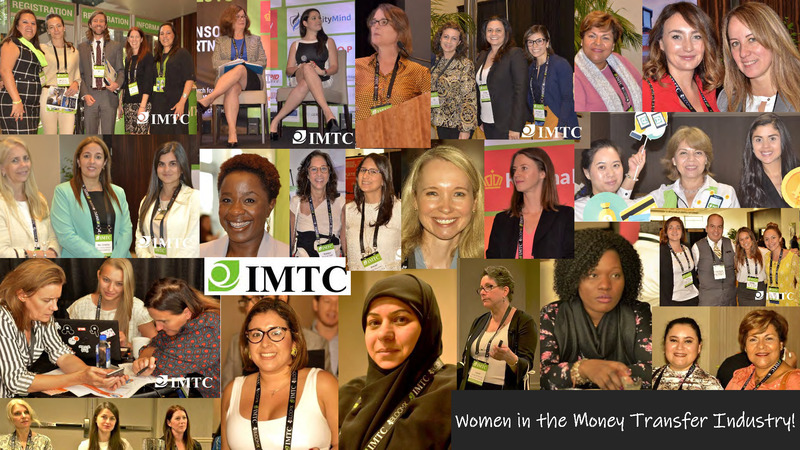 There is no data for the Money Transfer Industry except for the number of female participants in the industry’s main event, IMTC WORLD and the regional events that IMTC organizes in many parts of the world. Since 2011, the percentage of women at IMTC has been very steady, with 75.3% male participants, and 24.7% female participants. Since participants are mostly senior management, these figures are close to the average number for the global financial services industry. When we look at the titles of the participants by gender we see that it is only in the Compliance Field where women’s share is more than 50%. 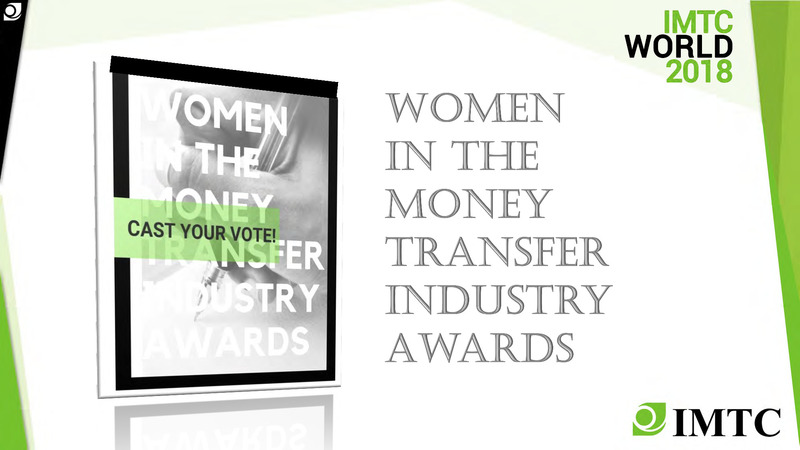 We hope that the awards raise the profile of women in the industry, highlight their importance and their contributions to the betterment of the industry, promotes women into more senior level positions and in the case of Compliance Officers, brings them forward as “business partners” in decision processes within every organization. We thank all the participants to IMTC events that supported & contributed feedback to the awards, that voted and the women that are part of this great community of colleagues & friends.